Tron has beaten Ethereum on the google trends as it trends upwards with a good margin. 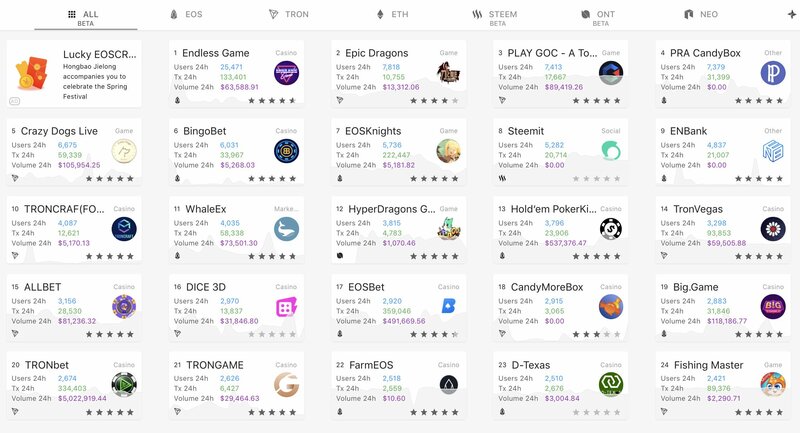 In the Dapp ecosystem, Tron got 23 dapps in top 50 on Dapp Review while gaining the first spot on Dapp Radar. Tron is working hard and fast in outpacing Ethereum. Over the last few months, Tron has actually outdone the third largest cryptocurrency in terms of transactions, accounts, price movement and of course Dapp ecosystem. According to the latest Google trends data, Tron is gaining a lot of traction and leaving Ethereum behind. In the past 12 months, Tron has made a lot of development as Ethereum continued on a downward trend. Meanwhile, Tron has been seeing somewhat of stability in the bear market and now going on an ascent. This move in opposite direction has the gap between both the cryptocurrencies trend line from worldwide on Google growing. In the Dapp ecosystem, Tron CEO Justin Sun had already set a lot of big targets for Tron. And now, they have started meeting those targets head-on. 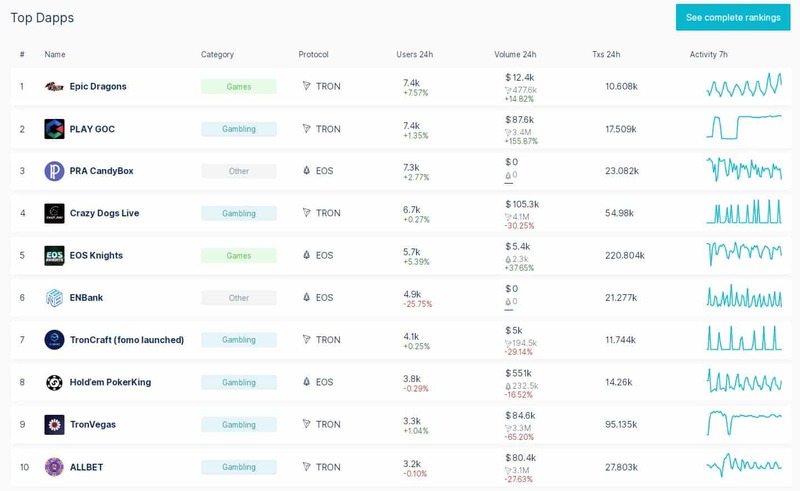 Dapp Review, an independent third-party research institute that focuses on Dapps and covers all public chains with dapps took to Twitter to share the latest stats where Tron and EOS are playing neck to neck with 23 dapps each in top 50 by active users in the past 24 hours with none of Ethereum’s. Also, one of the Tron dapp just got the top spot first time ever on Dapp Radar as it ’s dapp, Epic Dragon registered 7.4k daily users. On the price front, Tron is currently at 8th spot, above Stellar, and Bitcoin SV with a market cap of $1.7 billion, as per the data provided by Coinmarketcap. At the time of writing, Tron has been trading at $0.0258 with 24-hours loss of 0.19 percent. While, in the BTC market, it is barely in the green by 0.02 percent. Will Bitcoin Go to Zero?